One of the subjects that cropped up in the Leaders’ debate yesterday evening was zero hours contracts. Ed Miliband wants to effectively abolish them. 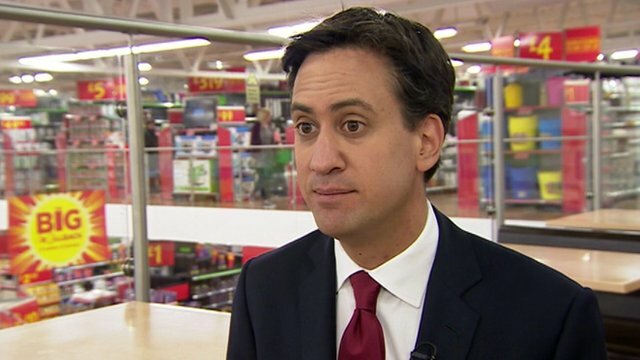 David Cameron’s response was that Labour have a “zero jobs” approach. In the double-header interview previously, Jeremy Paxman had repeatedly pressed David Cameron as to whether he could work live on a zero hours contract, finally eliciting the answer that no, he couldn’t. So, what is it about zero hours contracts, and why are they a political hot potato? The term ‘zero hours’ is not defined in legislation, but is generally understood to be a employment contract between an employer and a worker, which means the employer is not obliged to provide the worker with any minimum working hours, and the worker is not obliged to accept any of the hours offered. That’s important, because to listen to some politicians you’d think that zero hours contracts are some recently invented device intended to exploit workers who would otherwise have “proper” jobs. But that’s not the case. Casual labour has always played a major role in employment, particularly in sectors where demand is variable and hence the need for staff is equally variable. Catering and service industries tend to be the main users of casual labour, but manufacturing and retailing also use it to meet seasonal demand. The term “zero hours” became more popular as a result of the minimum wage legislation introduced by Tony Blair’s administration in 1998. A consequence of the new law was that employers couldn’t just pay casual staff for the work they did, because the minimum wage is based on contracted hours rather than actual performance of duties – someone sitting around doing nothing had to be paid at least minimum wage while doing nothing, so long as their employment contract considered them to be at work while waiting to be assigned a task. So casual employment contracts were changed to make a clearer distinction between “at work” and “not at work”, and made it equally clear that a casual employee was only at work when called on to actually do work. This made no difference to the actual practice of how casual labour is organised. It was simply a way of making sure that employment contracts were compatible with the new legislation. The second key fact is that there hasn’t been a huge growth in zero hours contracts under the current administration. Again, if you listen to certain politicians you might get the impression that all the growth in employment over the past five years has been insecure casual work. But this simply isn’t true, as an article on the BBC website makes clear. Zero hours contracts make up only around 2.3% of the workforce. Interestingly, though, the article does show a significant increase in the number of people reporting that they are on zero hours contracts – up from around 586,000 to 697,000 people. But a lot of these are people who had been on the same contract a year before. So they were on a zero hours contract, but didn’t call it that the previous time they were surveyed. That goes back to my first point. Zero hours contracts are not new. It’s just a relatively new name for a long-established system. So a lot of the apparent growth in zero hours contracts is simply a result of more people using the term – quite possibly as a result of being misled into thinking that it’s somehow different to casual work. Having established that zero hours contracts are neither new nor unduly numerous, does that mean there’s no problem with them? Well, yes and no. Obviously, there are people who actually want to work casual labour. And there are many reasons for that. Casual labour is an established first step into the first step into the employment market for teenagers after leaving school, often as a means of gaining experience that will stand them in good stead for getting a better, and more well-paid, job afterwards. Seasonal casual labour is also a common source of top-up income for students during the holidays. Some people want to work part time, and are happy with a flexible arrangement which means they aren’t tied to fixed hours. And casual work is not necessarily badly paid – while a lot of it is at the lower end of the salary spectrum, there can be good money to be made doing casual skilled work if you have the skills. Anything which effectively abolished casual labour would, therefore, clearly be a bad thing. A lot of the zero hours jobs which currently exist wouldn’t convert into full time jobs, they would convert into no jobs. It would deny flexibility to the people who want to work like that, and it would make it much harder for businesses with variable demand to meet the needs of their customers. So it would be bad for consumers, too. There are, though, some people on zero hours contracts who would prefer to have full time jobs – or, at least, to have guaranteed hours on a part time job. These are obviously the people that Ed Miliband is hoping to appeal to with his promise to make zero hours contracts automatically convert into fixed hours contracts after a set period of time. And there are issues with lower paid casual jobs and benefits, particularly in the way that they interact with housing benefit, working tax credit and jobseeker’s allowance. It’s a lot easier to get employment-related benefits when you’re on fixed hours than it is when your hours, and hence your earnings, are variable. Again, this isn’t new, and it isn’t a growing problem. It’s one of the downsides to casual work, and always has been. But it is, nonetheless, a problem for some people, even if not as many as you might have been led to believe. So how do we address it? Well, one option is to do something with the benefits system so that it doesn’t penalise casual workers. This is the approach which I would expect a concerned Labour politician to take. It fits in with the basic principle that benefits should be on the basis of need, and avoids affecting people who are in casual work by choice and are not suffering financially because of it. The downside, of course, is that doing so will cost money, because it increases the total welfare bill and adds to the complexity of administering it. And that’s a very good reason why Ed Miliband doesn’t want to go down that route, because he knows that he won’t be able to afford it. So, instead, he’s intending to fix the problem by loading the costs onto businesses, consumers and workers and hoping that nobody will notice. Neither of those, though, is the ideal solution. A better approach is to look at the reasons why there are people in casual work who would prefer a full time, or fixed hours, job. Apart from the small number of people who are reduced to low-grade casual work simply because they are too incompetent for anything else, most people who are doing casual work but would prefer fixed hours are doing casual work as a stop-gap while they look for a better job. So the best solution is to make sure that there are plenty of better jobs available. One of the biggest weapons an employee has against an exploitative employer is the ability to look elsewhere. The freedom to hand in your notice and take up a better offer elsewhere is fundamental to a healthy labour market. By contrast, where there is a shortage of jobs, unscrupulous employers can treat their workforce badly in the knowledge that their staff have nowhere better to go. In the long run, therefore, the only effective solution to the problem of too many people being unwillingly on zero hours contracts is a healthy, prosperous economy with plenty of jobs – of all sorts, at all levels, full and part time, flexible and fixed hours, skilled and unskilled. That’s the solution that I prefer. I think it’s the solution that most people who actually care about making things better for people who want a better job would prefer. And I think it’s extremely telling that Ed Miliband doesn’t prefer it.